Moving to Hong Kong as a young professional can be quite daunting, especially since you are without the support of your intimate circle of friends and family. Now you have to deal with the challenging task of finding new friends and a place to live, all while starting your new job. It is often difficult for entrepreneurs to strike a good work-life balance, and the high costs of living in Hong Kong make these struggles even harder. The rental cost for Hong Kong apartments, especially in central areas, can be ridiculously high, so why not share the costs with your future friends? The reduction in rent that comes with living in a flatshare can help you find more spacious accommodation in a better location, than you would when renting alone. Living in a group can be a big money-saver, allowing you to split costs for things like food, utilities, household items, and utensils. Work-life balance. It sounds simple enough. For the entrepreneur, however, achieving a work-life balance is the equivalent of walking the tightrope: With constant demands from work, the entrepreneur faces the risk of losing his/her grip on many matters outside of it. Forgot your key? Forgot to pay the cleaning lady or to clean altogether? Who will be looking after my plants, when I am on a business trip? The other obvious benefits of living with others are social. It's always nice to have a friendly face to come home to at the end of a long day or business trip. If you’re lucky, you’ll become fast friends with your housemates, but don’t forget you’ll also become connected to their friends, and friends of friends. With an ever-growing social network, you’ll never have trouble meeting new people or forging useful business connections. 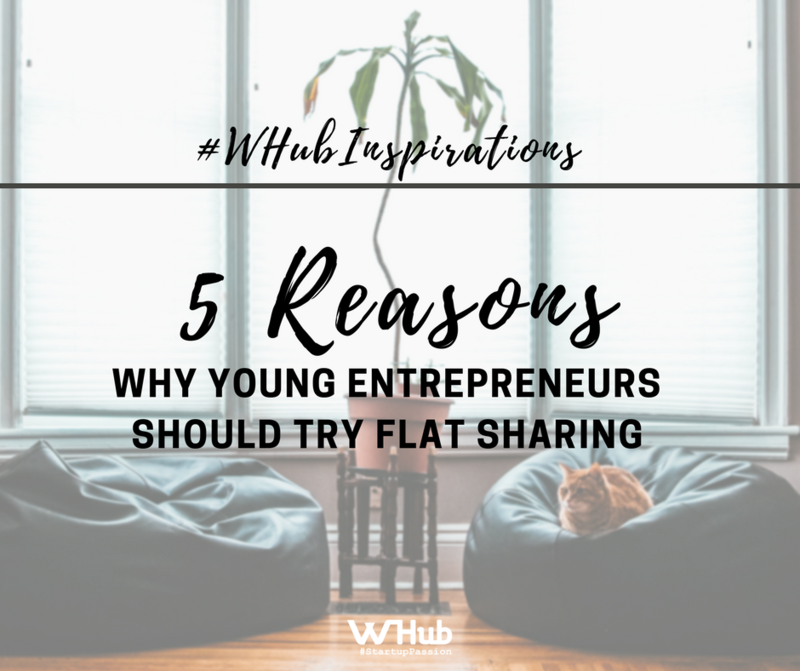 You might even be so lucky to live with a fellow or former entrepreneur who can give you all his/her first-hand tips and tricks. Another perk of sharing a home with others is that it provides the opportunity to borrow what you don’t have – how many times have you found yourself desperate for a hair dryer, pain relief medication and chocolate? A flatmate is always a potential partner in crime to go around exploring! He/she can be a rich source of information about your neighbourhood and the most fun parts of the city. Due to limited space, Hong Kong is a city more about experiences than of acquiring possessions, so make use of your flatmate and go and discover it together. We at we r urban provide stylish fully furnished flatshares to postgrads, interns, and young professionals for a fair price. We offer great flexibility with a minimum stay of 28 days and a fun community spirit. Renting with us will open your network to hundreds of young, working professionals by hosting regular events and giving you a house to call home.